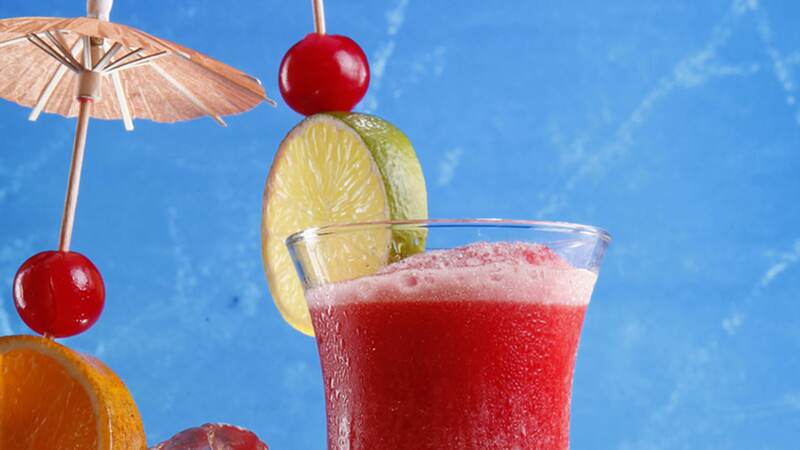 Put cherry juice blend and frozen cherries in an electric blender container; puree until smooth. Add lemonade concentrate and ice cubes; blend until smooth. Pour mixture into a 2-quart pitcher. Stir in lemon-lime carbonated beverage. Serve immediately; garnish with orange and lime slices.